Rainbows are a favorite motif amongst crocheters, especially those specializing in baby articles. 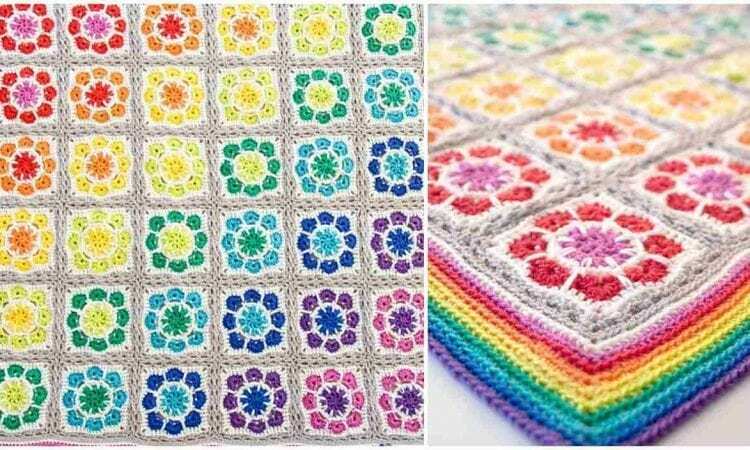 This blanket uses a rainbow edge, along with an interesting diagonal rainbow gradient made of rosettes in the individual squares. This eye-catching piece will be a hit with new moms. A link the free pattern is at the end of the post.